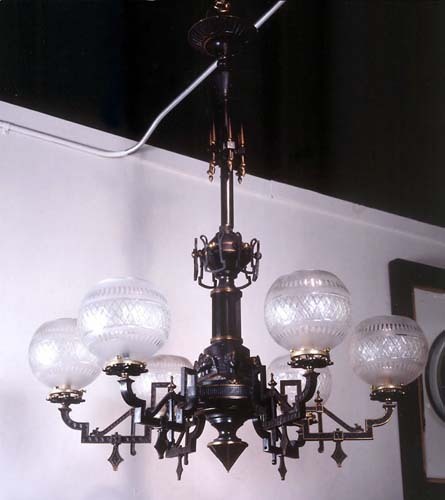 A 6 arm Bronze Gas Chandelier with Sphinx heads on the body, maintains its original finish 48" long, 32" wide. Measurements:48" long, 32" wide. Please check # 239 for additional images.